10 April - 15 October. 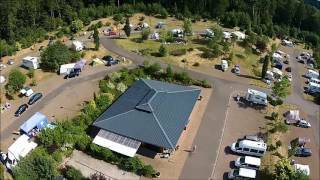 Designed and constructed to complement the surrounding Saar-Hunsrück Nature Park, Campingpark Waldwiesen is an ecologically run site in a quiet location yet within easy walking distance of the town of Birkenfeld. 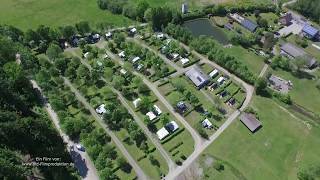 This family run site has 85 fairly level touring pitches, set on a gentle slope. All the touring pitches have 16A electricity, some have fresh and waste water connections and they are separated by hedges. Mature trees provide plenty of shade. A separate meadow behind reception will take over 100 tents. One part of the site with a paved sun lounging area and a play area is for the use of naturist guests. 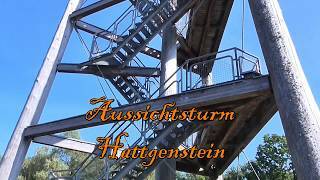 Thanks to the region’s turbulent geological past, The Saar-Hunsrück Nature Park, which rises to over 800 metres, has a very varied landscape and is ideal for those who simply enjoy nature. Situated between the rivers Rhine and Mosel, there are boundless possibilities for rambling and cycling, and with six wine regions, the opportunities to sample local products are all around. This is a region of rock formations, forests, rivers and streams, all of which are reflected by the local gemstone industry. Sanitary facilities include controllable showers, some washbasins in cabins, baby corner. Washing machine and dryer. Motorhome services. Natural swimming pool. Two play areas. Places for campfires (€ 5). Bicycle hire. WiFi throughout (charged). Site is 12 km. southwest of Idar-Oberstein. From the A62 take exit 4 Birkenfeld and go north towards Idar-Oberstein on the B41. After 5 km. take second exit towards Birkenfeld (Ost) and the next turning right. Pass shopping centre and follow site signs. The last 200 m. is over gravel road.